Flossing is the dying hero of oral hygiene. Not many people realize its importance in taking care of one’s teeth and gums. However, it is the only way to remove plaque from places the toothbrush can’t reach. If one does not floss, the plaque in the hidden regions can harden up and cause cavities, gum problems and bad breath! Wind the floss around each middle finger leaving two inches of floss to work with. Hold the floss firmly with the thumb and index finger and wrap it around the teeth. Gently slide the floss in a zigzag manner and use the same procedure for the gum line. Don’t be too harsh as it might cut and bruise the gum. At the same time, don’t be too delicate as it might not lead to the plaque getting successfully removed. The tag-team of regular brushing and flossing are adeqaute to keep germs and oral diseases away, for good! 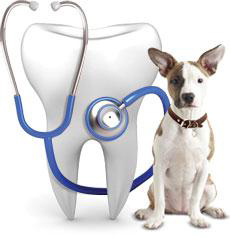 Taking care of your dog’s teeth! 1. Regular visits to the vet: In our busy schedule, if we can fit a visit to the doctor for ourselves, then isn’t dog man’s best friend? Periodical checkups will go a long way in ensuring that the canine teeth are strong and healthy! Just remember, be patient as the dog may not like his teeth be tinkered with. A little love (read treats) will go a long way in keeping him calm at the vet! 2. Brushing: Be a patient owner! Brush your pet’s teeth every alternate day (we all know that once a day may not be possible) with a doggie toothbrush and toothpaste (both are available at pet-shops). This may not be a cakewalk as your dog may not be comfortable with you with handling its mouth. But patience is key. Along with treats, rewards and love. 3. 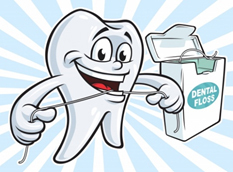 Flossing: Another great way to remove the plaque that causes bad breath. Do ensure that one does not floss in a vertical saw-like manner, rather the floss is wrapped around the teeth. 4. The chew toy: The dogs may not be able to brush their teeth themselves, but can surely gnaw their plaque away on bones, toys and chew-sticks. Just ensure that the bones aren’t too tough or it might hurt the teeth more.